by William H. Press, at al. 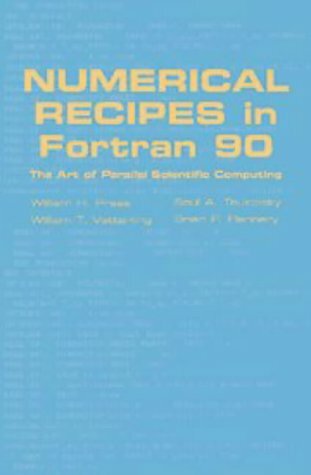 Numerical Recipes in Fortran 90 contains a detailed introduction to the Fortran 90 language and to the basic concepts of parallel programming, plus source code for all routines from the second edition of Numerical Recipes. This volume does not repeat any of the discussion of what individual programs actually do, the mathematical methods they utilize, or how to use them.